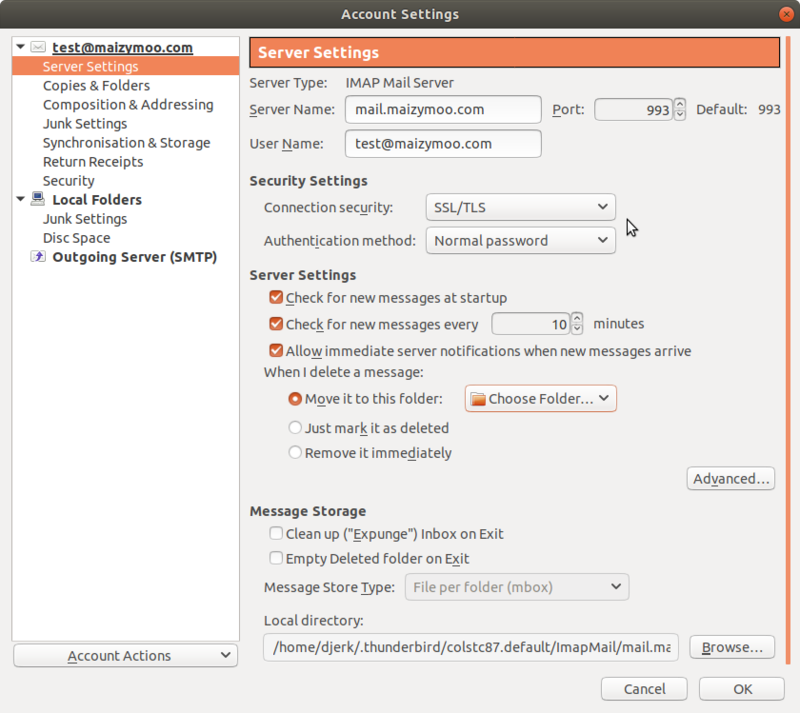 Thunderbird1) is a cross-platform, fully functional, versatile and free email client, it’s our preferred email client. 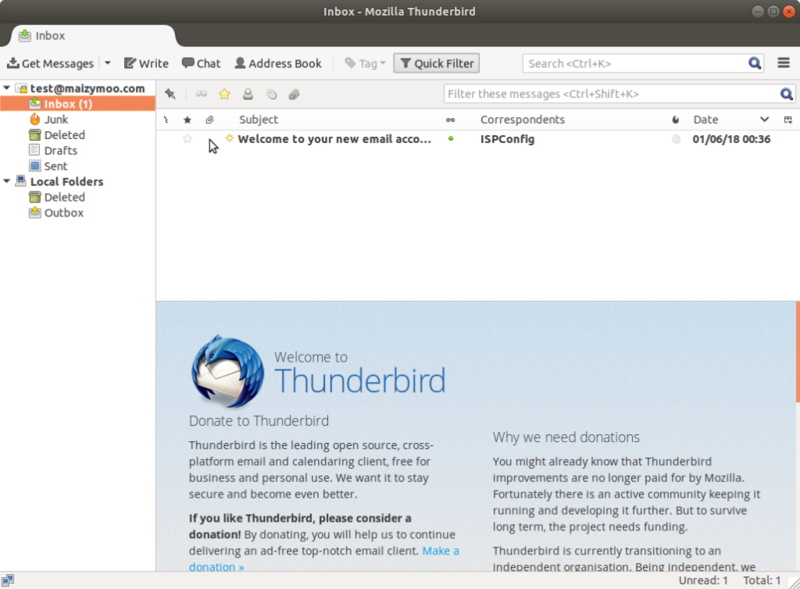 If you haven’t already, install Thunderbird by downloading it here or using your native Linux repository. 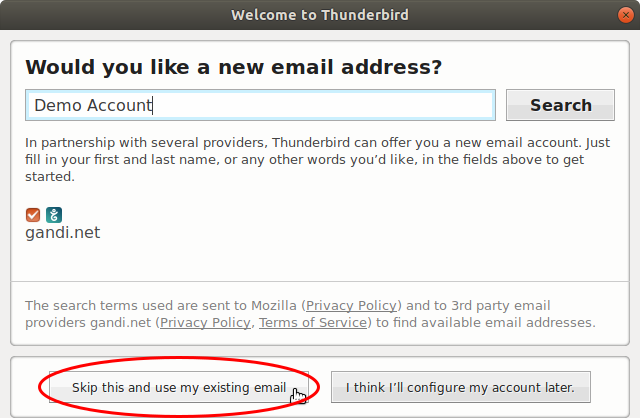 Open Thunderbird and if you’ve not used Thunderbird before it will ask you if you want to add an account. Enter your email account credentials (email address and password) and give the account a name (often your name, but it doesn’t have to be). Tick “Remember password” and select “Continue”. 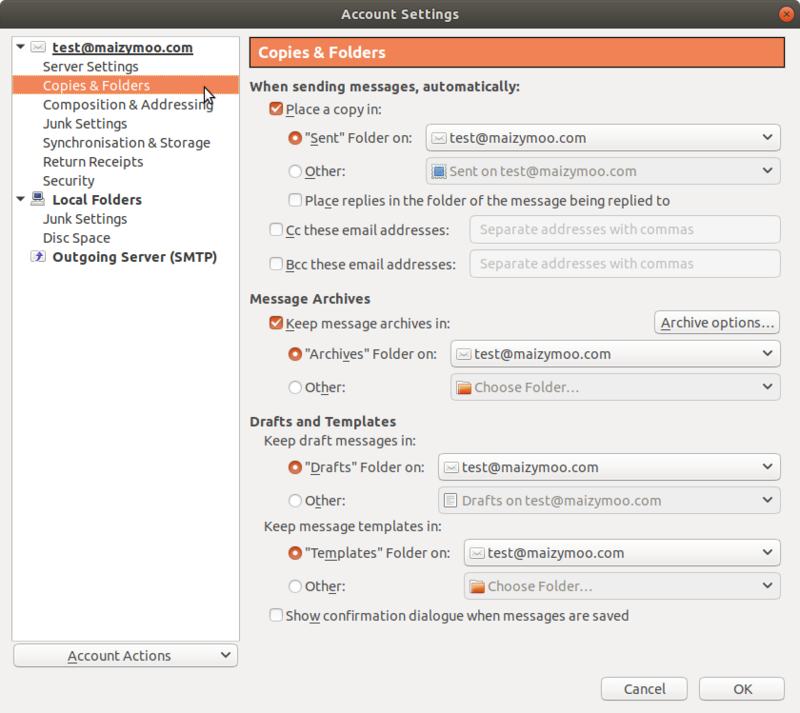 Thunderbird will fetch the mail settings from our servers. Manual changes aren’t needed, just select “Done”. You can now start using your email, enjoy your email account. Using IMAP, emails will remain on the server. This way you can always get access to your email when away from your computer using webmail (via webmail.yourdomain.com, but webmail.maizymoo.com works too) or your favourite smartphone email app. 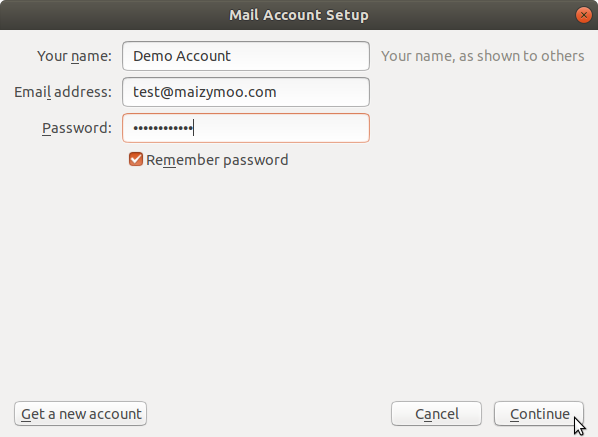 Though not essential, we advise our users to use the following Thunderbird IMAP mail settings. When deleting messages, they’re put in the deleted items folder by default. Or you can specify the folder here. 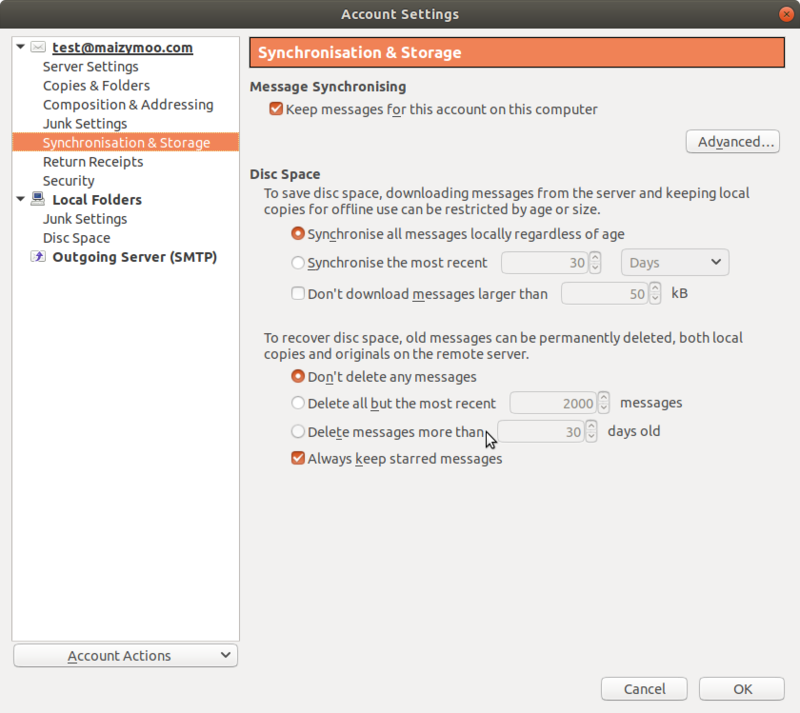 The defaults will work just fine, but if you want you can adjust where Thunderbird stores sent items, draft emails etc. 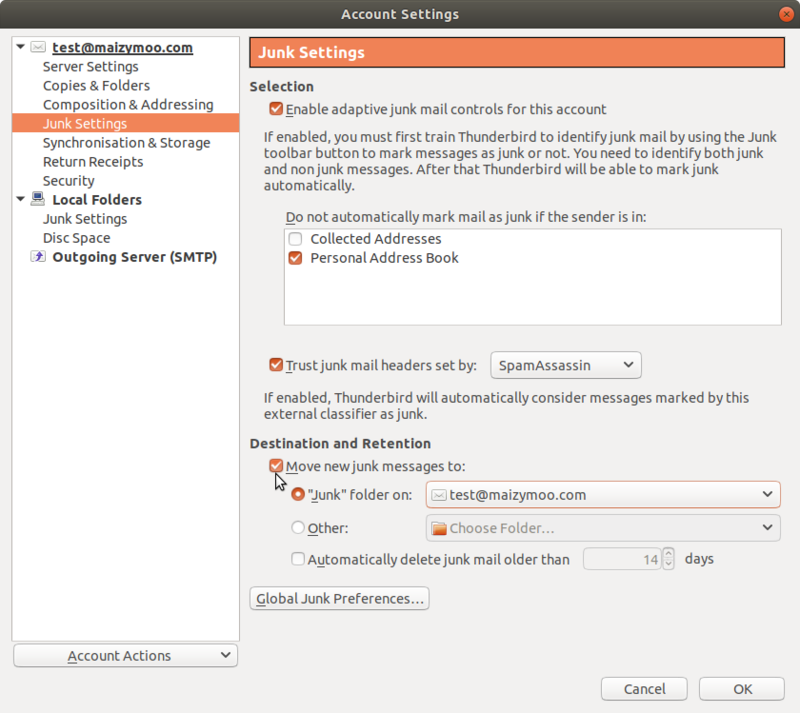 The Junk settings can be set to trust SpamAssassin junk mail headers and move junk mail to the spam folder. This will help keep your inbox clean. Some spam we’re not 100% certain of and so we add headers so you can check if these emails are indeed spam. Our filters learn from what you put in your spam folder. If you don’t have much storage on your computer, you may want to limit the email kept on your machine by synchronising only the last X number of days. You can also set Thunderbird to automatically clean out items from your deleted items that have been there for longer than a certain time. Not cleaning deleted items (or sent items) is a common reason for mailboxes to run out of space. If you need more email storage, you can either clean up your mailbox or request an upgrade of your mailbox. 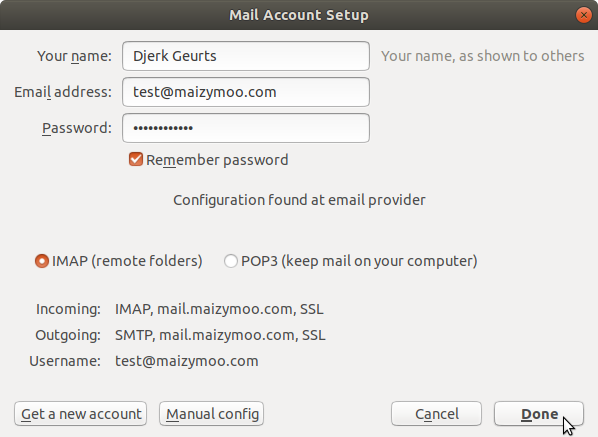 Whether using IMAP or POP3, emails are sent using SMTP. SMTP account details are the same as for IMAP. Authentication is required and we advise the use of encryption when connecting to our servers. 1. ⇑ Mozilla Thunderbird is a free and open-source cross-platform email client, news client, RSS and chat client developed by the Mozilla Foundation. See Wikipedia for background information, download available here.